This hotel is located in Sayre, Pennsylvania, a 20-minute drive from Tioga Downs horse track. It offers free Wi-Fi, an indoor pool and rooms with a flat-screen TV. Styled in neutral colors, rooms feature a cable TV and a coffee maker. A work desk and comfortable lounge chair are also provided. 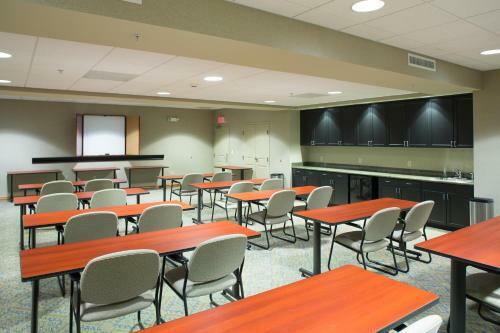 Guests can use the gym or business center at Hampton Inn Sayre. Laundry facilities are available for added convenience. 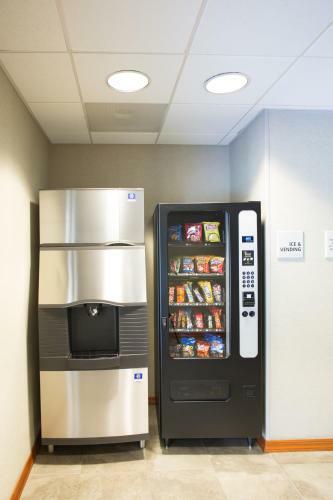 Every morning Sayre Hampton Inn provides a continental breakfast with hot and cold items. Free coffee is available in the lobby 24 hours. The New York border is just 1 mile from this hotel and the Finger Lakes are within an hours’ drive. Robert Packer Hospital is 2 miles away and Antler Ridge Winery is a 30-minute drive away. the hotel Hampton Inn Sayre so we can give you detailed rates for the rooms in the desired period.